Indianapolis, IN- Keystone Realty Group announced the purchase of Wentworth at West Clay Apartments located in Carmel, Indiana. Wentworth, a 186-unit apartment condo community, was originally built in 2003. The property includes spacious interiors with one, two, and three bedroom floor plans. Keystone Realty Group will immediately begin renovations and oversee property upgrades that match the luxurious design elements within The Olivia, Sophia Square, and other premier properties within Keystone Realty Group’s residential portfolio. Building upgrades will include, but not limited to, improvements in apartment units, new leasing office and amenities center, fitness room, and other community areas on the property. Keystone Construction will serve as the Construction Manager. The Village of West Clay embodies the principles of “New Urbanism”, also known as “Traditional Neighborhood Developments”. These new communities generally share certain characteristics including a mix of use and housing types, an interconnected street network, a town center, formal civic spaces, and a pedestrian –oriented design with pocket parks. 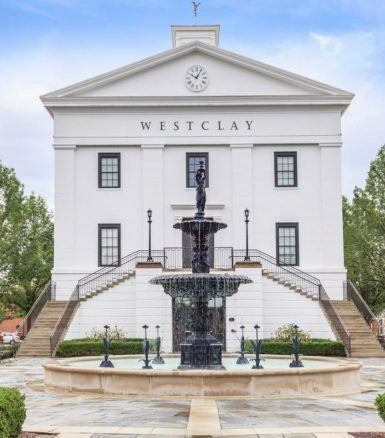 Set on 719 acres, the neighborhoods of The Village of West Clay reflect a variety of lifestyles and framing the neighborhoods are 171 acres of open space providing places for relaxation and recreation. Keystone Realty Group is a real estate development and management company headquartered in the historical Majestic Building in downtown Indianapolis. Keystone Realty Group offers development and real estate services with an emphasis in multi-family, office, retail, mixed-use, and redevelopment projects. For more information, visit www.keystone-corp.com.